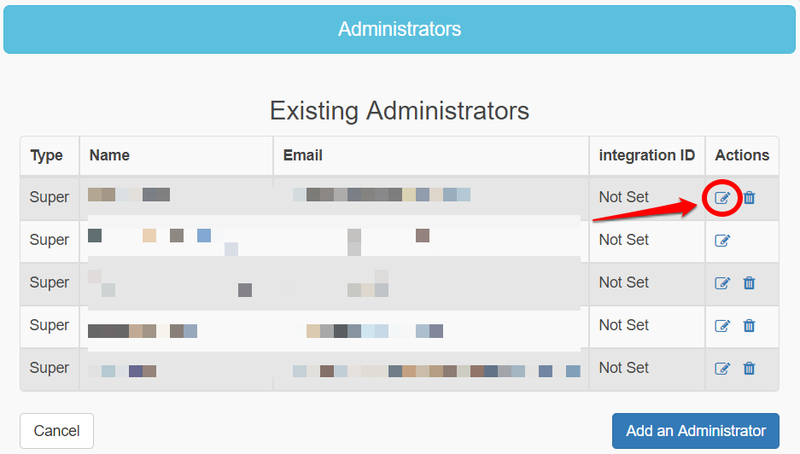 How to change the access of an existing Administrator? A Super Administrator can change the type of access of the other administrators. 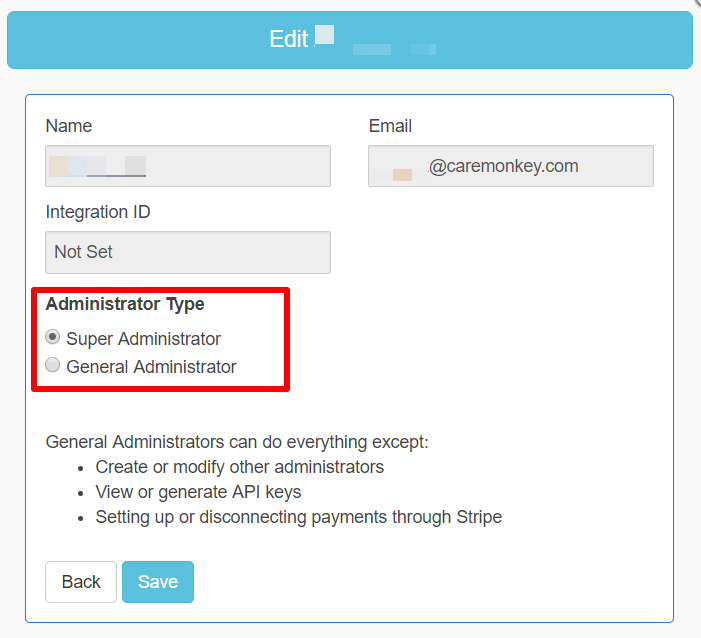 There are two types of Administrator in CareMonkey and they are the Super Administrator and General Administrator. To know the difference between the two, please check this article: What is the difference between a Super Administrator and General Administrator? 2. 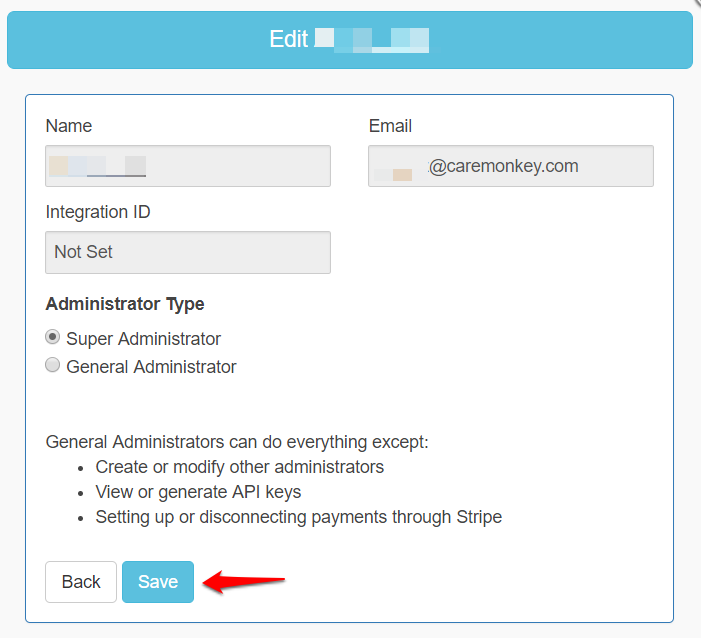 Select Administrators on the left-hand side menu. 3. Look for the particular administrator from the list and hit the Edit icon which looks like a pen and paper. 4. Choose the appropriate Administrator Type. 5. Hit Save to apply the changes.